Well-preserved colonial cities, pristine beaches, history and sensual salsa, there’s plenty of things to see and do in Cuba. However, planning a trip to the Caribbean island involves a bit more preparation than usual. 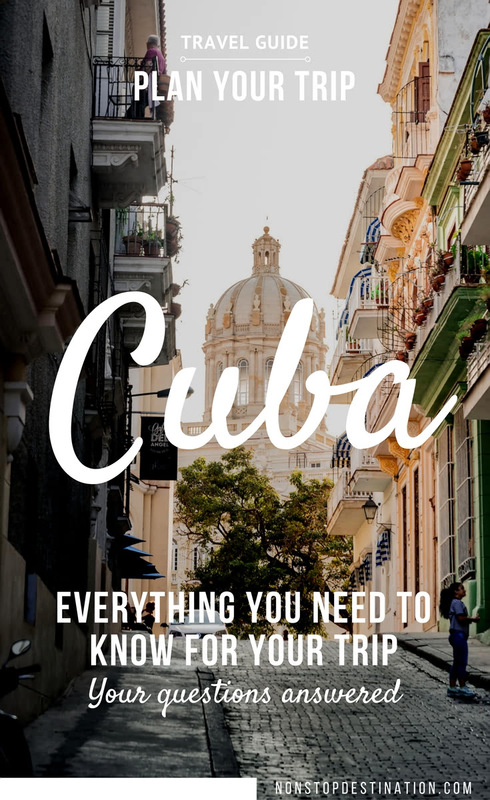 When we first started planning our Cuba trip, we had many questions. The more we looked into the country the more questions popped up. 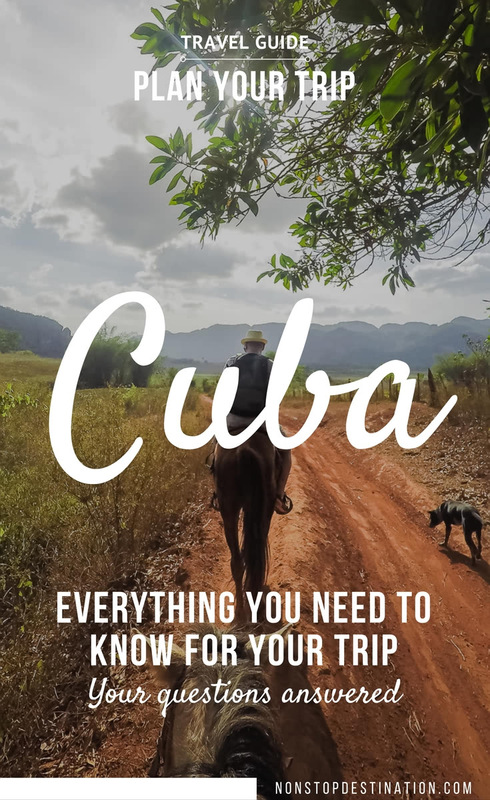 For those who find themselves in a similar situation, I wrote down all the answers to the questions we had before embarking on our Cuba adventure. Below you’ll find our personal experiences, for official documentation regarding visas, please consult your government policies. How did you move between cities? 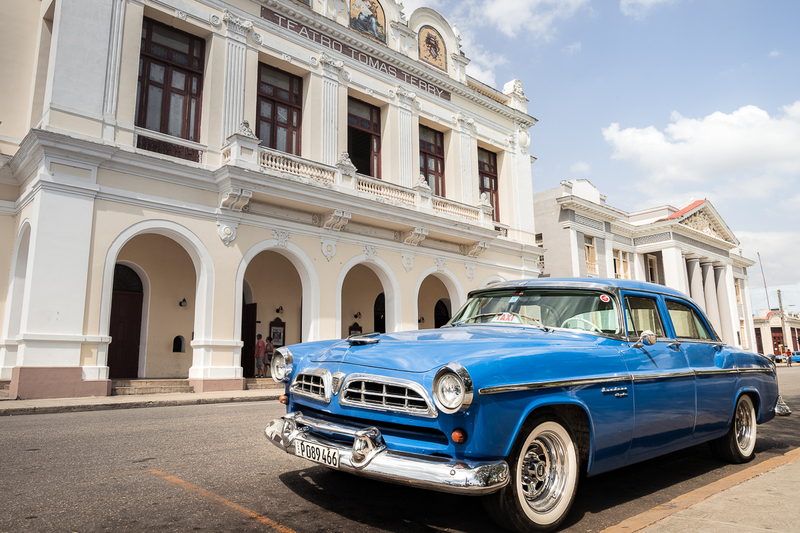 We used taxis for every trip, except for Viñales to Cienfuegos. We also used a Transtur transfer bus, which was cheaper and more comfortable than a taxi. We later discovered there is also a Transtur transfer bus from Havana to Viñales, which we would have used had we known about it beforehand. Did you book taxis in advance? We usually just flagged them down when we wanted to go somewhere. We did book a taxi in Trinidad where we paid 10 CUC commission to the person booking on our behalf. We stayed in three casas particulares and five hotels. Find out more about how to book casas particulares in Cuba and our experience while we were there. How did you book accommodation? All casas particulares were booked by emailing the owners. However, for some casas, we couldn’t find contact details, and many casas just never replied. 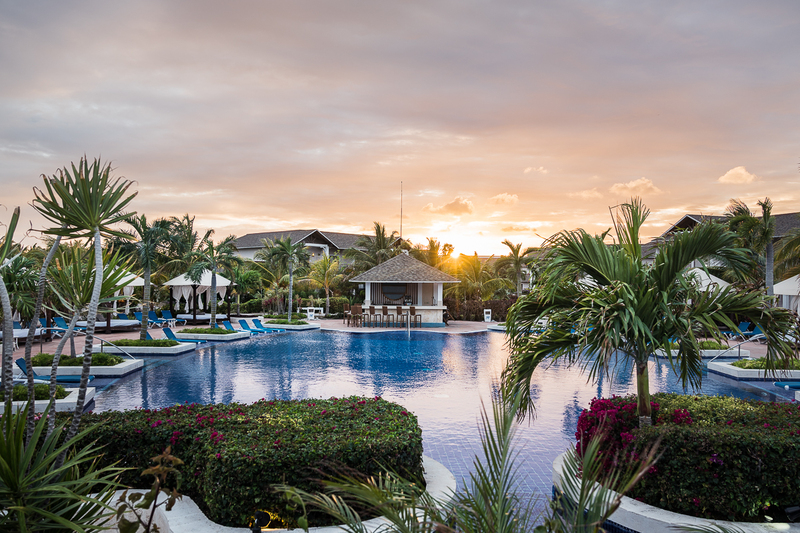 One hotel was booked through the Cuba Travel Network, while all resorts were booked directly through their respective websites. Is it possible to not book anything in advance? I’m not sure about high season, but in shoulder season (when we were there in April), there were plenty of casas with rooms available. Did you pay for any of the accommodation in advance? Only our hotel in Viñales was paid for in advance. All other hotels and casas were paid after our stay. We paid in cash at all the casas, and credit card at the resorts. 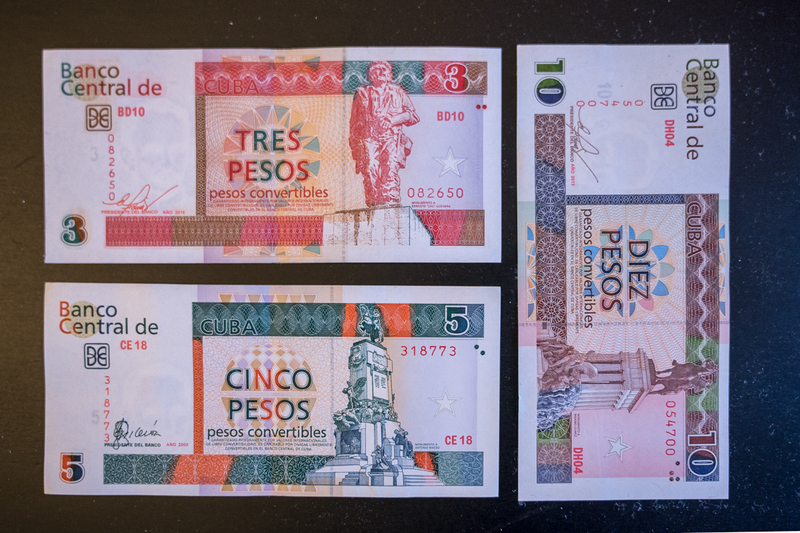 Cuba has two currencies: the Cuban Convertible Peso or CUC – and the Cuban Peso or CUP. Tourists typically use CUC and is equal to 1 US dollar. You’re not able to get any CUC until you arrive in Cuba. There is a currency exchange office right outside Havana airport, as well as an ATM. Don’t take USD with you, as you will be charged an extra 10% penalty when converting your cash into CUC. CUP is typically only used by Cubans. Was it difficult to find ATMs to draw money? No. We found plenty of ATMs in Havana, and every other city we visited had an ATM. Did you have any difficulties paying with your credit card? No. Our RBC (Canadian) card worked everywhere. Our HSBC card, however, did not work. It is best to check with your bank if your card is accepted in Cuba. American cards are not accepted. Did you access the internet while in Cuba? Yes but only a couple of times – once to check our emails and another time to check in for our return flight to Canada. Logging in was a painful process, and we didn’t want to waste time finding a WIFI spot and browsing the internet. We were glad to be basically internet-free for two weeks; we never missed it. Was it difficult to find internet access in Cuba? Not really. All hotels had WiFi and there were a few WiFi spots around the towns and cities which are run by ETECSA, Cuba’s telecommunications service provider. 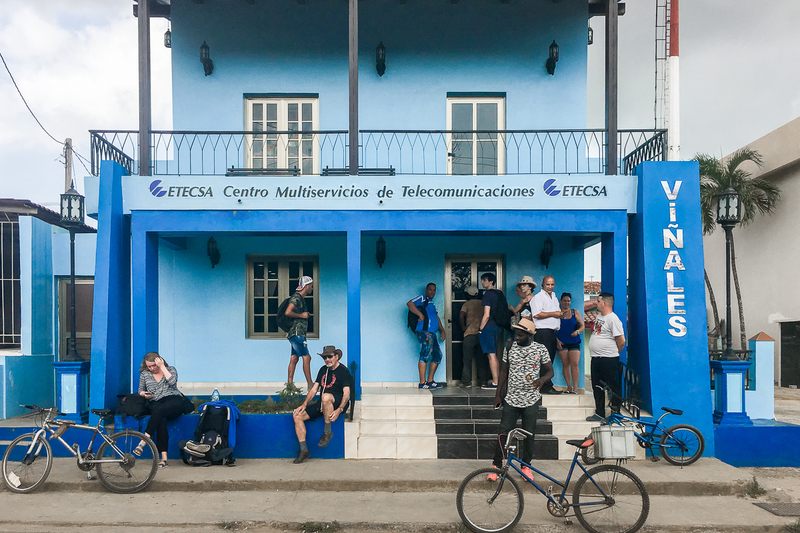 Some casas also offer internet access, however, the cost was a lot more than what you would pay for an access card from ETECSA. Here’s a list of the WiFi spots in Cuba. How much did an internet access card cost? Everywhere we went, the cards to access an ETECSA WiFi spot cost 2 CUC. We usually bought it at our hotels since this was the most convenient way. Two Scots Abroad have an excellent guide on Internet in Cuba. How did you find the food in Cuba? Don’t believe the rumours about food being bland. It is far from bland! We enjoyed some excellent dishes everywhere we went. 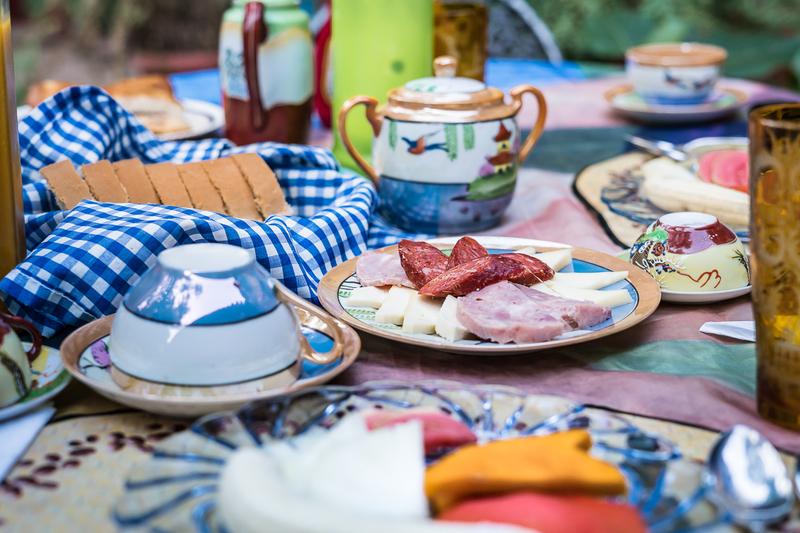 From Ropa Vieja and Picadillo de Res to the abundant breakfast spreads including a selection of fresh fruit, eggs, bread and guava juice. The times we were disappointed is when we tried international food, such as burgers or sushi (mainly at the resorts). Stick with Cuban food, your taste buds will thank you. Can I eat where the locals eat? You can. You might need to find some CUP notes, as the shops and restaurants are likely not able to accept CUC. If you’d like to know how to eat like a local, check out Munchies post about how to eat like a Cuban in Havana. Where were your favourite food spots? O’Reilly 304 is a small but popular restaurant in Havana Vieja. This cosy establishment serves huge cocktails and delectable sharing plates. La Guarida is one of the most famous restaurants in Havana. Not only is the food delicious, but the setting is extraordinary. Be prepared to reserve a table weeks in advance and pay quite a bit for your meal. It is worth it though. Bar las 3 Jotas in Viñales is the perfect spot for a tasty Piña Colada (they bring the rum bottle to the table for you to decide how much to add to your drink) and excellent sandwiches. Villa Lagarto is situated by the water in Cienfuegos and has a distinct jungle feel. Food is plentiful and the Sangria refreshing. Before travelling to Cuba, you must obtain a tourist visa. Check if your nationality needs a tourist visa here or check your government travel page. Some airlines will provide the tourist card on your flight. We flew from Toronto to Cuba and tourist cards were handed out on our plane. Check with your airline if they will provide the card. For US nationals, read about the latest requirements here. We booked everything independently and did not make use of any tour companies to visit places. Ash doesn’t speak Spanish and I only know a little. We had two private guides who didn’t speak a word of English, and still, we managed to make ourselves understood (though not without a few hilarious moments!). I recommend learning some Spanish before going to Cuba. This app helped me tremendously while we were there. Did you feel safe in Cuba? Yes! We always felt safe wherever we went. Even walking around the streets of Havana at night with our camera. We were cautious when we arrived, however, we relaxed a little after a few days. Violent crime against tourists is almost unheard of, but when walking down the street, make sure to keep your bags close to you. 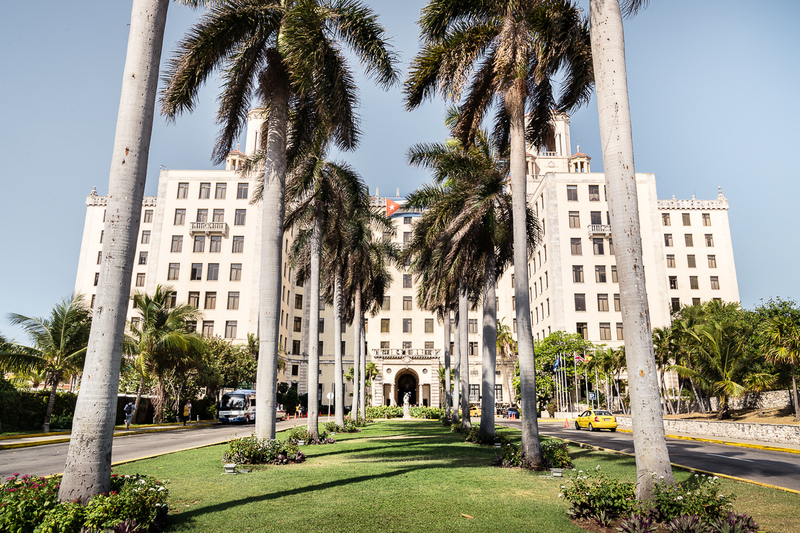 Yes, travel insurance is mandatory in Cuba. They did not check ours at the border, but if you are unable to prove you have travel insurance, you’ll have to buy travel insurance from the local insurance provider and this might have lower benefit levels than one purchased in your country of origin. Be prepared and buy travel insurance for Cuba here. Do you recommend a travel guide? Yes! 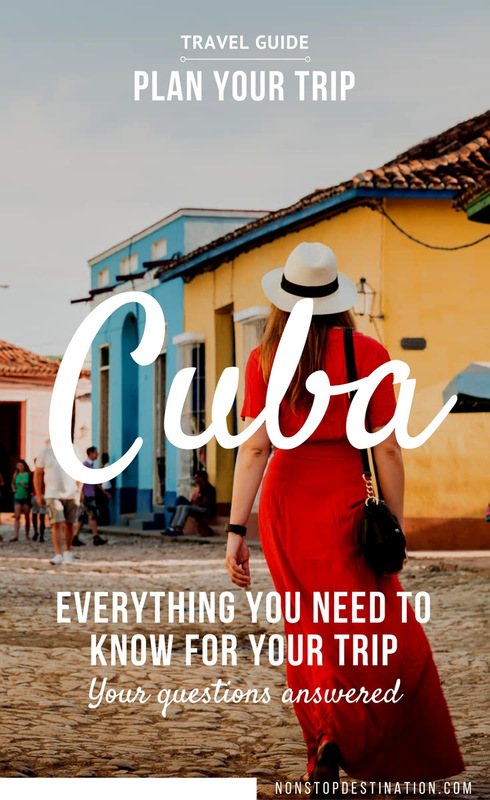 We used the Cuba Lonely Planet guide to help us find things to do, places to see, and spots to eat. The current guide is from 2015. Lonely Planet is releasing an update in October 2017. -> Buy it here. Where did you keep all your travel information? We printed literally everything; hotel confirmation, emails from casa owners, my own itinerary and travel insurance documents. I did keep digital copies on my phone as well to be safe. Because of the lack of internet, it’s best to have a non-digital back-up. Some of the links on this page are affiliate links. If you click and buy something through the link, I will receive a small commission at not extra cost to you. I would only recommend products and services I use and believe in.